Currently Out of Stock - check back with us soon! Sister Softy is a lovely and adorable doll. Perfect for all of God’s little flowers. She’s soft to the touch and her rosy red cheeks are sure to bring a smile to any little girl’s face. 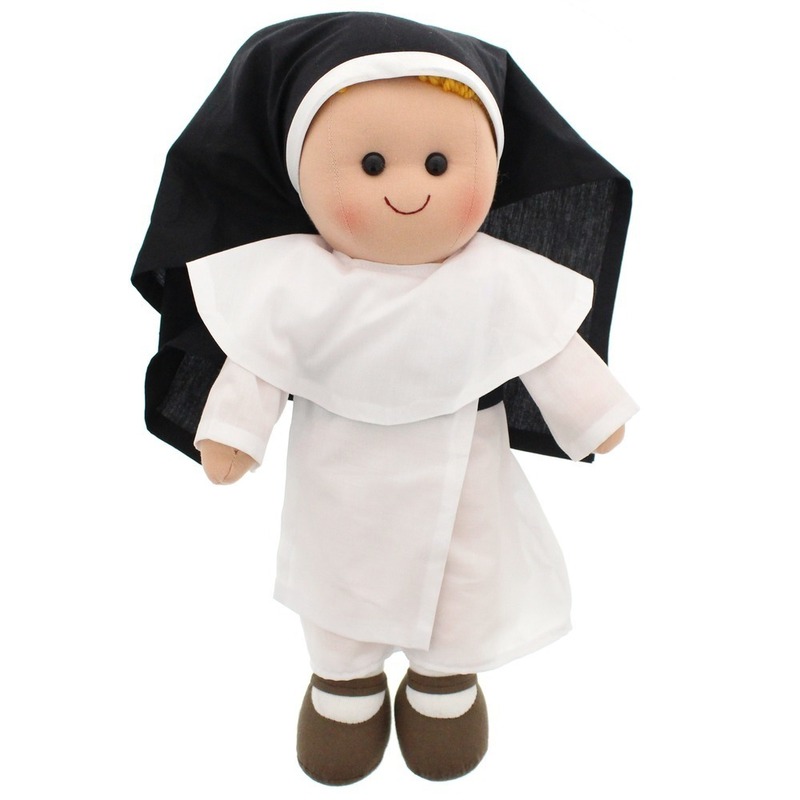 Sister Softy stands 14 inches tall and her habit is lovingly hand crafted to fit her. She makes an excellent gift for First Communions and any other holy occasions for your little one. Sister Softy is sure to become a treasured item for all girls. She is an excellent doll to help teach young girls about the faith and help to foster a strong healthy love for the women of the habit in God’s Holy Church. For any young Catholic girl, Sister Softy is a must. Each doll's habit is made by hand right here in the USA.